This is our 20 ft double lane dry slide. 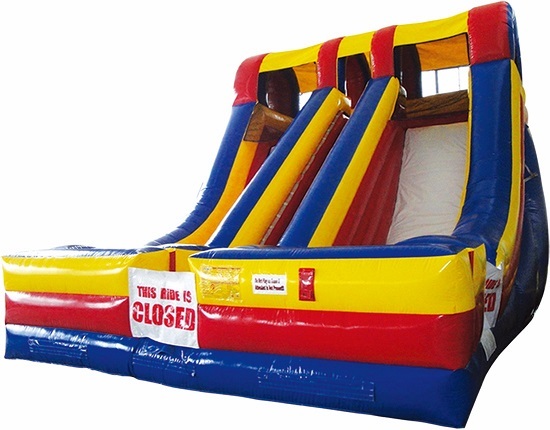 The bright fun colors of this slide will be a great addition to your next event. This slide is used as a dry slide only.